I have a couple of Doug Kurtis stories. Years ago I was on a 17 mile run in Stuart Florida and spotted a runner up ahead as I ran the Hutchinson Island stretch between Stuart Beach and Jensen Beach. I caught the guy and recognized him immediately- turns out his parents had a condo. We had a nice chat about training, etc. Cranking out a sub 2:20 marathon a month as he was doing back in those days, his long workouts were easy 7 min miles. As I recall he normally did one interval session a week but that was a long time ago. At the 1994 Boston Marathon, I was 40 and looking for a masters PR. We had a tailwind, and I had an exceptional race finishing 2 hr 34, which I felt put me in the hunt for a top 10 finish. I went to the awards ceremony and 10th Masters Men was announced- 2 hr 25! Kurtis won that year in a masters course record of 2:15. I was 19th. Sunday was one of those days I realized why I do all the training. Running a 9.something kilometer race in Seoul, I knew right away that it was going to be a good day. The only bad news was that as I crossed the start mat and punched the start button on my Garmin 205, I heard 2 beeps, meaning it was probably stopped. Staying out of trouble in a crowded start while screwing around with your GPS is not a good idea, but it took me a good 20-30 seconds to confirm that yes the thing was on. So much for measuring the course, but at least I could get my ave. pace. Running in cool, overcast conditions I felt great the entire way- hitting the 5k with 6:03 showing on the ave. min per mile pace, finishing strong with a 6:08 average- that's 38 flat for 10K and trust me when I say that I was not slowing down. This course dipped down from the main road to follow a bike path along a river going out, which meant of course we had a hill to negociate on the return trip, hence the slow down. We also had a very slight headwind coming back, adding a few but not a lot of precious seconds to the final time of 36:03. I finished 8th overall on a course that a friend of mine clocked at 9.47 kilometers with his Garmin (I guess the Koreans are just as concerned about course accuracy as Americans over here). Rounding off slightly, this was 500 meters short of 10K, so running 6:08 per mile (92 seconds per 400 meters), you could add 1:55 and come up with a tick under 38 for 10K. That's a very good race for me, but the way I felt I am almost surprised that it wasn't a bit faster. Another factoid about Korean races-other than the big races, they don't bother with age groups! Fine by me, unless they are giving out something worthwhile. The last thing I need is another certificate I can't read. I have enough of those from my years of racing on Okinawa. My tri season has ended (2 races- spring and fall!) and I'm taking a breather from swimming and the bike to focus more on running. The temperatures and cooling and the weather has been fabulous the last few days! I had a decent week with a long run of 12 miles on Sunday and quality intervals on Wed. I'm feeling better on hour runs but I still haven't done anything over 13 miles. I also haven't been on a sustained tempo run for a while, but at least that changes with tomorrow's 10K in Seoul. Last month I did something a little unusual prior to racing - 2 x fast 800s on Friday, and another on Saturday (I even did a 4 mile bike!). Why would I run fast like that the last 2 days before a 10K? Call it an experiment based on a version of this post I did a couple of years ago on how to taper. I'm taking a more conservative approach this time, running 2 x 800s on Friday in 2:57 (9 seconds slower) and an easy 3 miles on Saturday followed by a comfortable 6 x 200 at race pace. I felt flat on the 800s (10 mile day on Thurs was too long), but better on the 200s. The real taper comes before a half marathon on October 10. As everybody knows, better to error on the easy side. Distance Running Tip- Extend Your Rest! Take the extra 8 hours in a day to recover following a longer workout by running in the evening! Sunday I ran 12 miles in the morning, and at this stage of fitness and age I normally find it difficult to do anything substantial the following morning (I ended up doing 8 miles on the bike rollers and 10 x 1000 meters swimming!). Then Monday after work I cranked out a respectable 8 mile run and felt halfway decent. This works! You get 2 extra meals in addition to several hours of rest, making back to back running workouts much easier to handle. Now, the question remains what do I have left for Tuesday? Fortunately, this is a planned easy day so I can bounce back and be ready for intervals tomorrow! 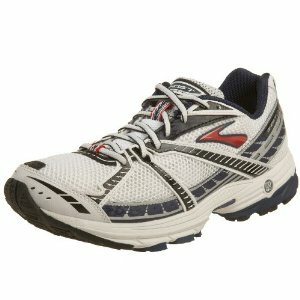 Just ordered a pair of Brooks Ghost 2 for $56.87. The reviews are mixed, so stay tuned! Summary: My long run was 11 miles on Sunday,the day following a 9 x800 meter workout. On Monday evening (with the extra 8 hours recovery), I felt good enough to run tempo the last 3 of a 6 miler. Wednesday was a good effort on 2 x 2 mile repeats, and Saturday's triathlon kept my weekly total miles from being higher. 10K in Seoul next Sunday! Triathlon- If you want to run faster- bike more! This morning I did a short triathlon on Camp Humphreys- 400 meter swim, 20 K bike, and 5K run. SWIM: On Thursday I did 400 meters in 7:50 in the indoor 25 meter pool. Today, with a diving start I checked the watch at 8:13 when I emerged from the 50 meter outdoor pool. I guess that means the more wall push offs there are, the faster I can go. T1: Run to the bike, on with the bike shoes, sleeveless top, helmet, sunglasses, and off I go. Probably a minute or more but I didn't bother to look. BIKE: 2 x out and back on a relatively flat course. Coming back on the first leg I unexpectantly hit a bump and nearly lost it- unfortunately my water bottle flew out of it's cage meaning there wouldn't be any water until the run (fortunately, I had the foresight to plant another bottle in the transition area). I finished up with the bike computer reading 38:55 for 12.96 miles- call it 39 min for 13 miles. Ave speed read 19.9 mph. That's good for me. T2- Off with the helmet and bike shoes, on with the running shoes. No fancy stretch laces so I spent the extra time lacing up. Chugged some water and dumped the rest over my head. No cloud cover today with a 9:15 am start- and no water on the bike I was getting warm. COMMENT: My lack of bike training really cost me on the run, as my legs never really came around so I could get rolling (or maybe it was the heat). I only bike 25-35 miles per week, 4 miles back and forth to work a few times a week, and 2 miles back to do the kids running program. I know that putting in an occasional longer bike would pay huge dividends on the run, but whoever said I was training for a tri? Post race weight was 124. How to Run Faster: Lose Weight if You Need To! MY COMMENT: So lets say you weigh 150 pounds and are 15% fat (22.5 lbs of blubber). If you lost 5% as in Williams example, that would take you to 10%,(so now you carry 15 lbs of the stuff). You've dropped 7.5 pounds. Another theory on body weight and running performance was offered up by Tom Osler, who believes every extra pound of flab cost you 2.5 seconds per mile . Back to the example by Williams, a 7.5 pound drop in fat weight means you'll run 24 seconds per mile faster. Using Osler's theory, you will run just under 19 seconds per mile faster. The formula mentioned by Williams is based on "oxygen consumption dynamics" measured in a lab, while Osler reviewed data from actual runners and their performances. Remember- you can also go too low with your body fat percentage! Skinny world class male distance runners can be as low as 4-5%, but most of us carry more fat cells than they do and find it near impossible to get below 15%. You won't run well on a starvation diet either. Rather than bore you with the daily workouts, I've decide to only post the key workouts, along with a weekly summary. Today (Sept 15) I jogged a slow stop and go mile with Sumo,then ran at least 2 more. 2 x 2 miles with 5 min recovery. 12:29 and 12:27. I made it a point to keep the pace below anaerobic threshold and felt pretty good. I think I could have done another but then I would have been late for work. Considerably faster than the last time I did this workout (13:10 and 12:55)Aug 20. 8 miles total. NOTE: Did a decent swim workout yesterday- 6 x 150 meters and I hit 2:51 on a couple in the middle-pretty quick for me (these are very similar effort and time wise to running 800s, at least for me). I'll get in the pool tomorrow and be ready for my tri on Sat! If you have old shoes laying around, check out soles4soles, a charity that distributes dontated running shoes to the needy. Watch the video- wow! Founded by Wayne Elsey, who also has an interesting blog titled Get off The Couch. I'll say this- Wayne is certainly passioniate about making a difference. What a great idea! That's why I don't get too hung up on weekly totals. One day off doesn't make a difference, and in fact the rest may be needed. am: Steady rain this morning so I hopped on the rollers for 30 minutes of cycling- call it 8 miles. I left a puddle of sweat on the floor, and weighed in at 123.2! Perhaps the scale was a bit off- I wish I'd done a pre-workout weight and double checked the post workout. pm: How to salvage a screwed up workout! Jogged the half mile down to the start of an 800 I measured on the rice paddy roads. Wearing an old, tight-fitting pair of Adidas Boston's, I decided to go without socks, something I rarely if ever do. I happened to have run a couple of sockless interval workouts in these shoes before without blisters, however this time I added the HTP Heel Seats for extra protection. That changed everything. This is a workout I wanted to go well, and it's been 3 weeks since my last intervals so I started comfortable finishing in 3:04. I decided on 90 seconds for recovery and came back in 3:03. Number 3 was going well until half way through I suddenly felt a hot spot on the back of my heel. I hate stopping in the middle of an interval so pushed it to the end in 3:06- a little tentative. I removed my shoe which revealed torn skin, so there was no way to continue without some repairs. I limped it back home (one mile), taped up, changed to my favorite long distance racing flat (the discontinued Brooks Burn), and jogged the half mile back to the start. The next interval went in 3:04, again a little slow. Coming back, with less than 30 seconds to go I spot a dog. As I got closer, I realized he was tied to the motorcycle of a Korean checking on his rice or something. Do I charge through and hope the dog can't catch me with bike in tow? Screw it- I had to stop,then slowly get by him and finish in 3:12. The rest of the way went without incident- 3:01, 3:04, 3:00,3:00. All in all, a total of 9 x 800 ave with 7 at 3:04 or faster. Total miles in this workout added up to 7. Hopefully one I can build on leading up to a 10K at the end of Sept and half marathon Oct 10. Finally, while I'll probably feel it later, I had absolutely no sign of heel discomfort! And i just weighed in again at 123.2. No doubt I am a little dehydrated and need to monitor my weight more often. Light is good, but not if I'm low on fluid and glycogen. pm: 7 miles in 60 min- wind and some pelting rain. I've had better runs. Spent the day on the train- to Daegu and back, about 3 hours each way. Deugu is hosting the track and field world championships in 2011- can't wait! am: just a short jog with Sumo- he didn't want to do anything this morning. pm: 2 miles with the kids including a few 300 meter races. Too tired to try intervals, but did 6 miles and a reasonable pace followed by 4 miles biking. I ran from home to work the long way to pick up my bike. Weather permitting, I am planning some 800 repeats tomorrow so consider this a rest day. I haven't done intervals in about 3 weeks and now is the time to get back in. The men's race was held over a 12 kilometer course with more than 4,200 feet of vertical gain. The route started in a wide, grassy meadow and quickly merged into a paved and level roadway for the next kilometer. The terrain changed to a gravel road and started to climb. For the next 10.5 kilometers, the course varied from steep, rocky terrain through both forest and wide open spaces. There was one descent of 300' on this mostly uphill course. "This (course) makes road running look like a walk in the park" -16th place finisher Max King (from runningusa) who has an 8:31 PR for the 3000 meter steeple and has also run for the US at the World Cross Country championships. In this interview, King describes a 100 x 200 meter workout! Are you kidding? Sounds like something Jim Ryun would have relished back in his day. King has some other interesting entries on his blog, but too bad he hasn't been able to keep it updated. am: 1 mile with Sumo then 8 miles easy. Nothing special- my heel was pain free running in the morning but I feel it slightly this evening. I am planning on a hard long interval session later this week. Thursday or Friday. Nice pic and story in runnersworld about Rachel Booth who I did some long runs and interval workouts with in Okinawa- another Wisconsinite running well! Labor Day! Still feeling not up to par, I ran the on-base 5K anyway, thinking I could snap out of it. The course, as usual, was way off the mark- something like 3.4 miles, and I ran 20:51, so over 6 min per mile. Not a good day. Followed up with an easy 1000 meter swim. pm: 7 miles bike (estimated because I used the rollers). Highest run total in a long time. Finally broke 50 miles! am: 2 mile bike, 13 mile run. The good news is I felt pretty good, the bad news is the heel was hurting the last 4. While it's usually sore in the morning, this is the first time I've felt it giving me trouble on a run. The swim was tough- too long between pool visits. Since the 10K I am shaking things up a bit and putting effort into getting in some miles. They are slow but I could care less. I'll get back to the intervals and time trials soon enough. MY COMMENT: First cherry juice and now blueberries? Workout Update Wed Sept 1! pm: 4 mile bike home, then 4 plus mile jog into base and back - I need some cash in case this typhoon actually shuts us down for a while! Didn't plan on running twice, however I wanted the extra miles just in case we do get slammed tomorrow (although I have been known to run during typhoons in Okinawa). A little wind and rain is not a big deal. am: 6 miles easy, with 1.5 miles barefoot on the artificial grass. pm: 1 mile running with kids, 4 mile bike home. Later, heel is sore, probably from that barefoot running.